Today, September 16, is World Ozone Day. Now, I’m the first to complain that the calendar these days is chock-a-block with somewhat questionable occasions to commemorate (Talk Like a Pirate Day, anyone? Check it out, it’s on September 19) but suffice it to say that the international effort to put a halt to the destruction of the ozone layer is not among the dubious landmarks. As many of you will know, and perhaps recall from living memory, alarm bells started ringing when pioneering research by a group of brilliant chemists (Frank Sherwood Rowland, Mario Molina and Paul Crutzen, who were jointly awarded the Nobel Prize for Chemistry in 1995) showed that chlorofluorocarbons (CFCs), a family of chemicals used in many everyday applications such as refrigeration, air conditioning and aerosols, were destroying the ozone molecules which make up the protective layer shielding Earth from the sun’s harmful rays. Just over a decade later in 1985, scientists working for the British Antarctic Survey discovered a recurring springtime Antarctic ozone hole. 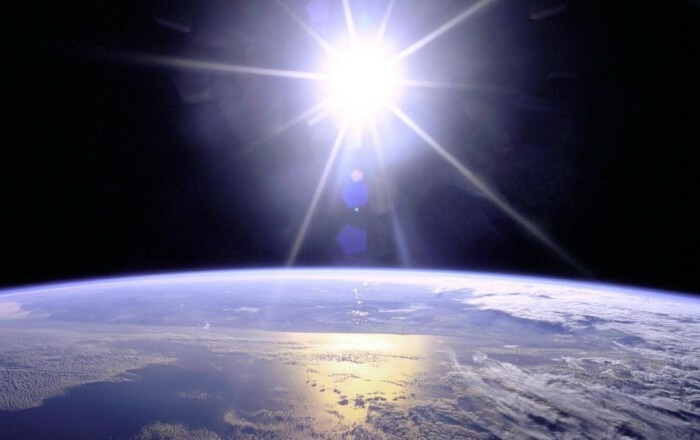 Spurred into action by the potentially catastrophic scenario unfolding, the international community pulled off an impressive feat, the conclusion on September 16, 1987 of a landmark multilateral agreement to arrest ozone depletion – The Montreal Protocol – in the space of just under two-and-a-half years. EIA has written before about the self-serving behaviour of the chemical moguls who throughout the 1970s and ’80s flat-out denied that ozone depletion was connected with CFC use. An entire book deserves to be written on how these companies have cynically sought to undermine the science with the sole aim of raking in more profits. However, today of all days, it’s important to focus on the positives and to consider why the global ozone regime remains as relevant as ever. According to the UN, without the Montreal Protocol, ozone depletion would have risen to about 50 per cent in the northern hemisphere and 70 per cent in the southern mid-latitudes by 2050. This would have resulted in twice as much UVB reaching Earth in the northern mid-latitudes and four times as much in the south. The projected implications of this are too awful to contemplate: 19 million more cases of non-melanoma cancer, 1.5 million cases of melanoma cancer and 130 million more cases of eye cataracts. Instead, 26 years down the line, atmospheric and stratospheric levels of key ozone-depleting substances are going down, and it is believed that with full implementation of all of the provisions of the Protocol, the ozone layer should return to pre-1986 levels by 2065. What’s more, because ozone-depleting substances are also powerful greenhouse gases, the Montreal Protocol has prevented over 200 gigatonnes of carbon dioxide-equivalent (CO2e) from ending up in the atmosphere. That’s about four years’ worth of current global emissions. Global climate change might well have passed the point of no return by now if it weren’t for the good old MP (as we at EIA like to call it). Based on recent developments, it’s looking likely that the Montreal Protocol’s climate legacy won’t stop there. 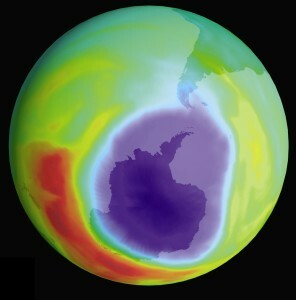 Parties to the agreement that saved the ozone layer are currently gearing up to take action on hydrofluorocarbons (HFCs), the successors to the very same ozone-depleting substances it has been so successful in phasing out. At the recent G20 summit in St Petersburg, world leaders supported using the “expertise and institutions of the Montreal Protocol to phase down the production and consumption of [HFCs]”. This is significant because the G20 membership includes India, China and Brazil, three major powers which have thus far been hostile to the idea that the Montreal Protocol should take action on HFCs. Very promisingly, the world’s two largest producers of HFCs, China and the US, also announced in June this year, and again in the margins of the G20 summit, that they support action on HFCs under the Montreal Protocol. We’re hopeful that momentum will continue to build at the upcoming Montreal Protocol meeting (or ‘MOP’) in Bangkok in October and at the international climate conference in Warsaw in November. All it will take for things to start to fall into place is sufficient high-level political will; the institutional framework is already there, as we never cease to point out. So here’s to the ongoing relevance of the Montreal Protocol to the protection of our atmosphere – happy Ozone Day everyone!